Beard up. Let’s do some good. Are you ready for Grow & Give? This November you can grow out that facial hair, spread the word, and raise cash for the cause. We’re not big on rules; all you have to do is sign up and start growing on November 1. Get ready for that last shave and help raise some money for the men and families battling prostate cancer – trust us, that beard looks good on you! You don’t have to grow a beard to join us: women can get in on the fun too, just create a team or fundraise to encourage the men in your life to speak up. Women might even consider sporting a fancy blue mustache to show their support! Check out some examples of what others have done, and get started! Don’t forget to share your progress on Facebook, Twitter, and Instagram using #GrowAndGive. Huge thanks to our official partner, Traveler’s Beer, and to all partners gettin’ their fuzz on next month! Run/Walk Season Isn’t Over Yet. Fall and Winter Races are Coming Your Way! Baseball great and prostate cancer survivor Ken Griffey Sr. hit it out of the park when he shared his personal story at our San Antonio and Baltimore Run/Walk events last month. During his remarks, Ken Sr. encouraged attendees to speak up about advanced prostate cancer and any symptoms they experience, such as fatigue or difficulty performing normal activities, which may signal the disease is progressing. He also met with race participants and played a special game of catch with the top fundraisers at each event. 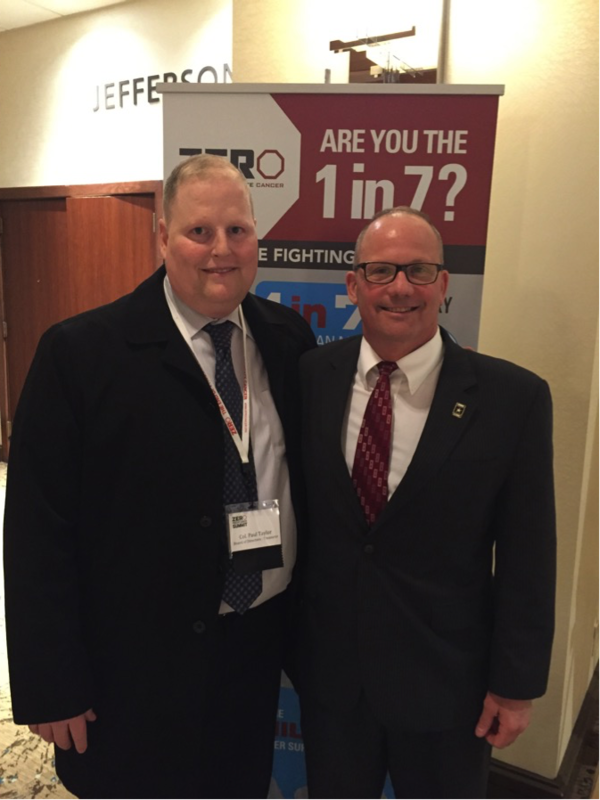 Applications are now open for the ZERO Prostate Cancer Advocacy Summit, being held February 27 through March 1 at the Key Bridge Marriott in Arlington, VA! 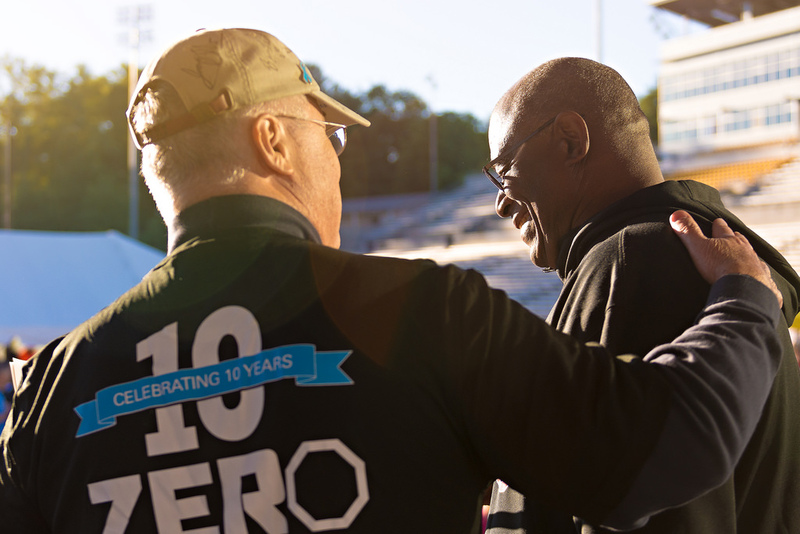 The Summit brings together an army of committed advocates focused on making a difference both nationally and in their communities in the fight to end prostate cancer. In partnership with Astellas/Medivation, we launched Faces of Hope with the inspiring stories of 23 patients and survivors. Throughout September, the conversation expanded to include thousands of people who shared their hope too. The campaign increased prostate cancer awareness with more than 100,000 people. 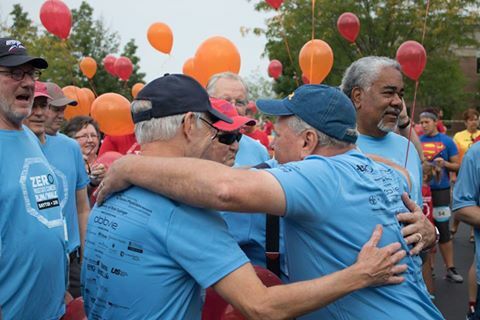 From our 16 Run/Walks to our educational webinar and beyond, we shared lifesaving awareness during Prostate Cancer Awareness Month. Let’s keep the conversation going. Stay tuned for more Faces of Hope in the future. In the mean time, visit ZERO’s Heroes to meet others who have shared their stories. One of our newest partners, Urology Health Store, was founded by a urologist and offers high-quality, non-invasive urology products for men and women that have been featured in Men’s Health magazine. Use code ZERO for 10% off your purchase and free shipping over $50. A portion of proceeds benefit ZERO’s fight to end prostate cancer. 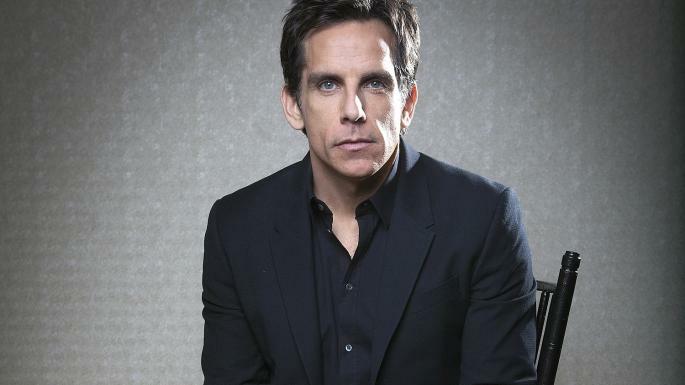 Last week Ben Stiller revealed that two years ago, at age 48, he was diagnosed with prostate cancer. Now cancer-free, he’s sharing his story worldwide to empower men to talk to their doctor about testing for the disease. We applaud his frank discussion about this often controversial topic. Read his story and share it with family, friends, and other men in your life to encourage them to take charge of their health.